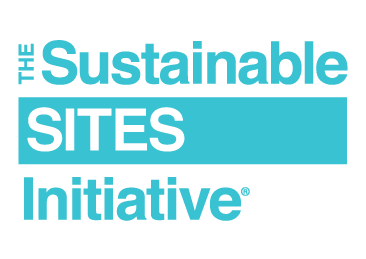 A SITES certification marks a project’s commitment to sustainability. If you are interested in getting started, find out if your project is eligible or download our free SITES Rating System for more information about prerequisites and credits. SITES certification is based on a point system. The number of points that a project earns determines the certification level it receives (Certified, Silver, Gold or Platinum). Projects that receive SITES certification have achieved the prerequisite requirements and accumulated a certain number of points, out of a total of 200 potential points. 1. Register your project with GBCI. First, register your project with GBCI by completing key forms and submitting payment. This allows you to engage directly with our review staff and gain access to important resources, such as the SITES worksheets identified in the SITES v2 Reference Guide. You can also reach out to our GBCI technical staff before registering, if you have any questions. At this stage, you’ll also assemble your project team, which includes, at a minimum, an owner (or owner’s agent) and a project administrator. The owner is the person or entity who has the authority to hold and control the real and personal property associated with the project and accepts the certification agreement. The project administrator acts as a project manager, overseeing the SITES project, as well as determining which team members are responsible for certain tasks, credits and prerequisites. 2. Begin implementing and documenting SITES strategies. Working with your project team, you will next identify which SITES credits to pursue. You'll assign them to team members and start implementing and documenting the strategies outlined by the reference guide. During this process, your team will collect information, perform calculations and analysis and prepare documentation demonstrating your achievement of the prerequisites and your selected credits. Documentation requirements are outlined in detail, with examples and calculations, in the reference guide. If you have technical questions during this process, you can send them directly to GBCI. 3. Meet with your reviewer to answer questions (optional). Before you complete your application and submit your project for review, you may request a conference call with your reviewer to make sure you have all of your questions answered. 4. Submit your documentation for preliminary review. After you’ve submitted your documentation for a preliminary review, GBCI will complete a thorough examination of your project. GBCI offers two review paths for SITES projects: standard and split. The standard review path is where you’ll submit your entire application. The split review path is designed to let you know if your project is on the right path—it allows you to submit part of your application at the end of your project’s design phase and the rest at the end of construction. Once you have selected your overall path, GBCI will conduct a preliminary review and determine if your project complies with the prerequisites and your attempted credits. You can then accept the results from GBCI or submit new or revised documentation for another review. 5. Meet with your reviewer to discuss results (optional). If you have questions about the review comments you received, you may schedule another conference call with your reviewer prior submitting for final review. 6. Submit your documentation for final review (if needed). If you need to provide additional documentation or clarifications, you then submit them for a final review. GBCI will review the resubmitted documentation for compliance. Accepting GBCI’s final review is the last step in the SITES certification process. You will receive a formal certification of recognition, and you can begin to promote this achievement.